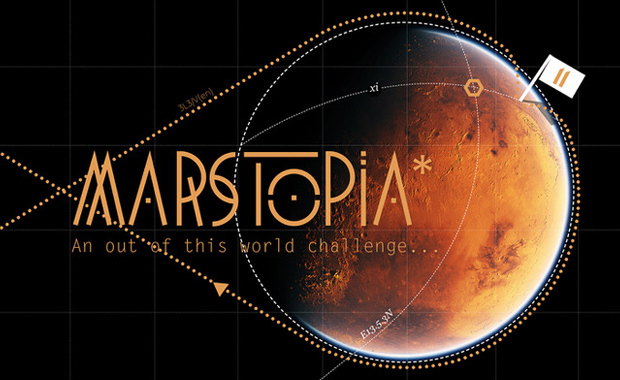 Eleven has announced their latest ideas and design competition — Marstopia, the official sequel to their 2016 award-winning international challenge Moontopia. Creatives from all around the world are invited to imagine Marstopia — the first human colony on Mars — and in doing so, begin to define Martian vernacular design. A total of £2,500 will be awarded in prize money, of which £2,000 are reserved for the winning team. The winners will also be invited by Mars City Design™ to attend an exclusive 10 day summer workshop in Los Angeles on Mars architecture including a mentorship programme to develop the design concept further with leading space agencies, VIP visits to space companies and JPL NASA, and a once in a lifetime opportunity to networking with professionals, pioneers and visionaries in the space industry. Marstopia is Eleven’s ninth international competition to date. Since their creation in mid-2015, the challenges launched by this UK based magazine and creative agency have received great global success. Previous competitions have been exhibited in Europe and the USA and published in multiple international magazines. The registration fee is £60 per team until 1 December 2017, £80 per team until 1 March 2018 and £100 per team after 1 March 2018 until the final deadline.